In business since 1982, Roofing Concepts has been a roofing contractor committed to providing high quality roofing and sheet metal installations to a vast array of commercial, industrial, institutional and residential property owners. Our dedicated staff of estimators, superintendents, roofers & sheet metal workers combined with our dedicated owner, modern equipment & modern office/warehouse facilities allows us to efficiently estimate, coordinate and execute many types of roofing and sheet metal projects. 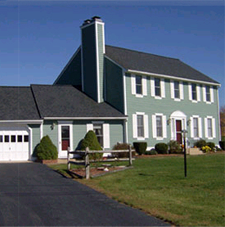 As a roofing contractor serving Rhode Island ( RI ), Massachusetts ( MA ) and Connecticut ( CT ), we offer top quality roofing and sheet metal installations at a competitive price. We invite you to take a moment to browse our site and learn about and view the types of roofing and sheet metal work that we take pride in installing. If you are interested in a free estimate please call us at (401)-885-5800 or click here to submit an online estimate request form. We look forward to hearing from you and thank you for considering roofing concepts for all of your roofing needs. We understand that purchasing a new roof is sometimes not feasible but you have a leaking roof and you need prompt and efficient service to mitigate that problematic roof. All permitting and installation is handled by Roofing Concepts from start to finish. 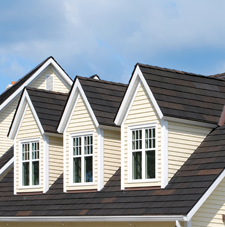 The decision to re-roof your home revolves around many important factors. 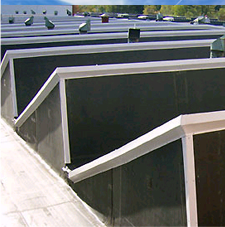 Commercial roofing varies greatly in degree of difficulty, scope and size. 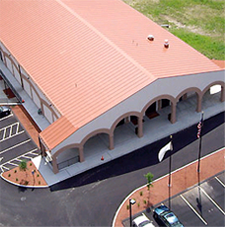 To cover your roofing needs we offer a variety of roofing that can be installed on your facility to protect your assets and keep your facility in prime operation. View some of the latest projects we've worked on.